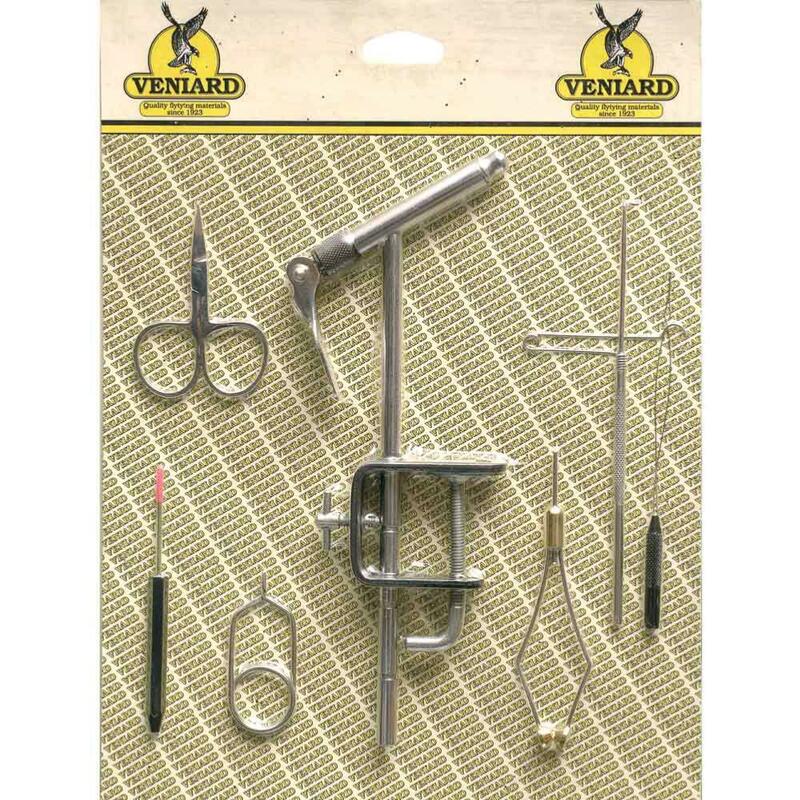 Veniard Beginners Tool Kit, a great budget starter kit of fly tying tools, a major seller for well over a decade, serving thousands of tiers! 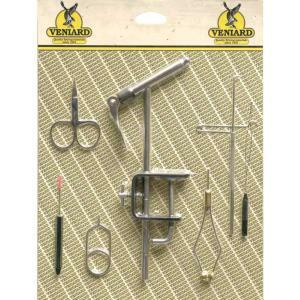 Veniard Beginners Tool Kit contains the following fly tying tools: C Clamp Vice, Bobbin Threader, Scissors, Bodkin, Hackle Pliers, Spigot Bobbin Holder and Whip Finish Tool. 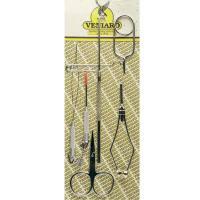 If you are looking for a Starter Kit that doesn't contain a Vice, choose the Veniard Starter Tool Kit. 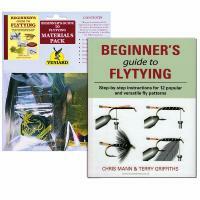 Once you have started to master the art of fly tying, you can then gradually upgrade your tool collection from our comprehensive Fly tying tool range suitable for every budget. 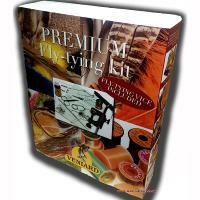 Veniard Beginners Tool Kit just one of a large range of Fly Tying Kits available. More than enough to get started tying flies. Just what will be needed. Excellent value for money. All bits and pieces work really well - ideal kit to get started. Never experienced such fast delivery anywhere, and customer service was super helpful and friendly. Would recommend without hesitation. This is my first fly tying tool kit and I''m extremely happy with it. The only downsides are the whip finish too which doesn''t really hold the thread very well and the threader which when I used it cut the thread. Otherwise the vice is very good for a cheap-ish kit as are the hackle pliers.